How well do you really know the one you are with? And is their past important? 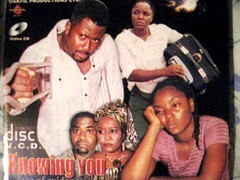 Uche is sent to live with her mother’s friend and husband after her death alongside her brother Obinna. Their uncle does not want them to go to school not wanting to waste money on children who are not his own. Uche ends up sleeping with uncle because he promises to send her to school if she does so. This one act sends her life (and the lives of others) on a downward spiral. Uche ends up prostituting herself. One of her clients employs her help to plant drugs on his political enemy. She frames the wrong man, who is Nkem and he ends up going to jail. Only to be freed by a career criminal who insists that he repay him by carrying out crimes. His first mission is to shoot someone. He too gets the wrong person and that person happens to be Chioma’s brother Obinna. The film was excellently executed and one that really makes you think about how one action can spur on a spiral of events. It also makes you see how generally good people can be lead/driven (A La Stanford Prison experiment) to do bad things through circumstances seemingly out of their control. Of course we all have free will but it can see seen that even though both Nkem and Uche did bad things these things were behaviours far removed from their true characters. The ending was great and finished off the film nicely. I also loved the music that played as the credits ran at the end of the film. I like the way u act. This was a really good movie with a strong message.